Thursday marks the 40th anniversary of "Star Wars," George Lucas' epic space opera. Originally released in theaters on May 25, 1977, Its pull has been so strong that 40 years after its original release, fans are still eagerly awaiting the next installment: "Star Wars: Episode VIII – The Last Jedi." While there are hundreds of ways to celebrate the movie’s special anniversary, below we're listing two of our favorite. 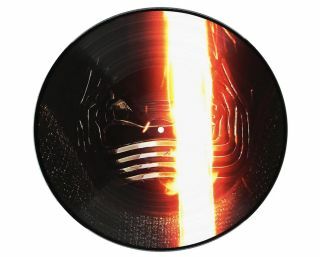 If you get goose bumps upon hearing the Star Wars anthem – and lets' face it, who doesn't – then you'll love "Star Wars: The Force Awakens" 2-LP Disc Set. The set includes the complete score of the original movie as composed by John Williams, the genius responsible for the music of the entire Star Wars franchise. There are 16 tracks in total and the vinyl set costs $29.54, which is $10 of its normal price. Don't have a record player? You can download it on MP3 for $9.49. After listening to the soundtrack, check out Star Wars: The Visual Encyclopedia. The book covers over 2,500 characters, vehicles, weapons, and more from the movies. The encyclopedia walks readers through the entire Star Wars timeline including and up to Rogue One: A Star Wars Story. Although the book normally costs $30, Amazon offers it for just $19.22.